Who can participate in the 2-day workshops? Workshops are open to adult (ages 18+) men and women who struggle with emotional eating, binge eating, compulsive overeating, yo-yo dieting, and chronic weight issues. Do I have to do all 3 workshops? No. The workshops are designed as a 3-part series, so we strongly recommend people complete all 3 so that they receive all of the information necessary for sustainable change. However, it is your choice to participate in one, two, or all three of the workshops. Because the curriculum builds upon itself, the workshops are designed to be completed in numerical order. Thus, you may participate in workshop 2 upon completion of the first one, and you may participate in workshop 3 upon completion of the second one. For a summary of each workshop, please click here. We are very proud to offer workshops that are both comprehensive and competitively priced. Compared to bariatric surgery, expensive food service programs, and/or medically supervised diets that include ongoing meal replacement and supplementation, our program offers comprehensive, quality care at a cost effective price. In fact, one workshop provides over 11 hours of therapeutic services, but costs less than what you would pay for just 4 hours of therapy. For individual workshop prices and bundling packages and to conveniently register online, please click here. Are the treatment services covered by my insurance? While the 2-day Workshops are not covered by insurance, approximately 80% of our clients successfully utilize their out-of-network benefits to receive some reimbursement for their individual treatment services (e.g., individual therapy, medical nutrition therapy). Additionally, many people use their FSA or HSA accounts to pay for both the workshops and/or individual services. TheHealthyWeighOut does not submit insurance billing directly through our office or do Single Case Agreements with insurance companies. Therefore, any client who wishes to use out-of-network benefits for partial reimbursement of individual services must submit insurance billing themselves. We work very hard to make this process as easy as possible for our clients. Upon request, we will happily provide you with a treatment invoice that includes all of the date(s) of service, service codes, diagnostic information, etc. required by your insurance company for payment. You can then submit this billing directly to your insurance carrier to receive payment directly back from insurance. As a result, we request that full payment for your services be made at the time of service. In today’s world of changing benefits, we strongly recommend that all prospective clients contact their insurance company to ensure that they are fully aware of their level of insurance coverage for out-of-network medical and behavioral health benefits. I don’t live in Scottsdale, AZ. Can I still participate in the workshops? Yes! The workshops take place on a Friday and Saturday, so it is best to plan on arriving to Scottsdale no later than Thursday night and leaving no sooner than Saturday evening. There are an abundance of hotels and vacation rentals nearby. I am already working with a therapist. Will the workshops still be of benefit to me? Yes! The workshops are actually designed to be an adjunct to, not a replacement for, any individual work in which you may already be engaged. We welcome the opportunity to coordinate care with your existing team of providers, including therapists, psychiatrists, dietitians, and physicians. We welcome clients referred in by other professionals and will always work to coordinate care with these providers throughout the program. Do I have to want to lose weight to participate in the workshops? No. 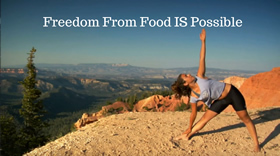 We’ve had many people go through the program who are at a healthy weight and do not desire weight loss, yet their eating is compulsive and they feel out of control. Thus, they greatly benefit from participating in the program. It is important to note, however, that many of our participants do have a personal weight loss goal and it is our commitment to ensure that TheHealthyWeighOut is an emotionally safe space for people of size to be with other like-minded, like-bodied individuals who can related to their struggles with weight and food. If I do not want to do a workshop, how else can this program help me? We offer many individual Emotional and Nutritional services that you can participate in whenever you like. However, the specific materials provided in the workshops are only available to workshop participants. I have food restrictions. Will the dietitian still be able to help me? Yes! No matter your dietary limitations, our excellent Registered Dietitian, Brandi Koch, MA, RD, will work with you to develop meal options that meet your nutritional goals and fit your lifestyle. I am (pre-) diabetic. Can this program help me? Absolutely! Many of our participants are diabetic or pre-diabetic, and find this program to be very helpful in learning how to effectively manage their condition. Traditional approaches to the treatment of diabetes can be restrictive in nature, which can trigger emotional and binge eating. In contrast, we utilize a moderate approach that addresses both the medical aspects of diabetes and the psychological aspects of disordered eating. We hope that you have found this information helpful! 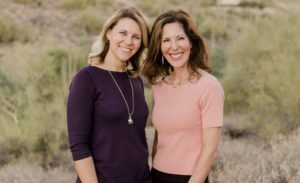 If you have additional questions or would like to set up a no-pressure FREE Meet & Greet with one of our Program Co-Founders, Dr. Julie T. Anné or Dr. Ashley Southard, please call us at (480) 941-6999. We look forward to hearing from you!